NESCA News & Notes: Is Your Child Too Anxious? It's normal for children to have fears and worries, but a surprising number have an actual anxiety disorder that could benefit from treatment. 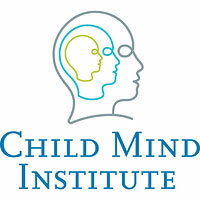 Experts from the Child Mind Institute explain the difference. Kids worry. Whether it's fear of the dark, starting a new school, or being left out at recess, children can take life very seriously. But some kids worry more than others. It's always painful to watch a child suffer anxiety, but it's especially difficult if you're not sure whether she's worrying too much and might need help. The difference between normal worry and anxiety disorders is the severity. Feeling anxious is a natural and even healthy reaction to stressful situations, but becomes a disorder when it interferes with a child's ability to handle everyday situations, or prompts her to avoid things that most people her age enjoy. Here are some guidelines for distinguishing different types of anxiety disorders from ordinary anxiety. Severe anxiety is out of proportion. A second grader might be nervous about taking his spelling test. A boy with generalized anxiety disorder (GAD) might be so worried that he starts studying for the test a week early. Severe anxiety is being overly self-conscious. A girl might panic before performing in her first recital. Someone with social anxiety disorder might be equally shy about ordering in a restaurant. Severe anxiety is often unwanted and uncontrollable. A kindergartener might cry at school because he misses his mother. An older boy with separation anxiety disorder might cry at school because he can't stop thinking that his mother will die if he is away from her. A girl might be afraid of burglars robbing the house. Someone with obsessive-compulsive disorder (OCD) might think they will come unless she touches everything in her room. Severe anxiety doesn't go away. Although anxiety symptoms are common and even expected after a disturbing experience such as a car accident or a flood, most children bounce back over time. A boy with PTSD (post-traumatic stress disorder) will still be having nightmares three months later. Severe anxiety leads to avoidance. A girl might be nervous about going to a birthday party. A girl with a specific phobia of loud noises might refuse to go to birthday parties at all because she's afraid that a balloon might pop. The common theme with these disorders -- estimated to affect 8 to 10 percent of American children in a given year -- is that they make children's lives much harder than they should be and limit the experiences they are able to have. If you think anxiety is interfering with your child's ability to function, find a mental health professional who can do an evaluation. Some children may display symptoms of anxiety (and still benefit from behavioral therapy), even thought they don't actually have a diagnosable disorder. For children who do need help, behavioral therapy, sometimes combined with medication, is very successful in helping them learn to tolerate their anxiety until it diminishes. How often and how long your child receives treatment depends on the severity of her disorder. The good news is that anxiety disorders respond very well to treatment in kids of all ages.